A Ukrainian court has remanded a businessman in custody on suspicion of plotting the murder of a Russian dissident journalist. 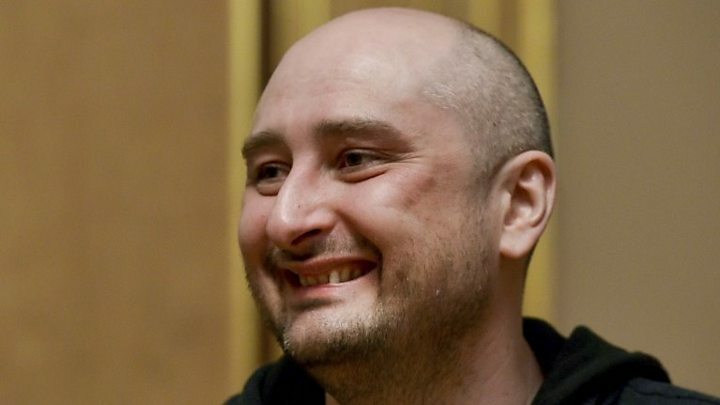 Borys Herman is alleged to have paid $15,000 (£11,300) to a man for killing Arkady Babchenko in Kiev. He said he had had no intention of killing the reporter and had co-operated with the SBU security service. The SBU faked Babchenko's death on Tuesday, saying this helped to foil a Russian assassination plot. Pig's blood and a make-up artist were used to pull off the stunt, the journalist revealed on Thursday. Babchenko said earlier that Mr Herman, who works for a Ukrainian-German weapons company, had paid out for the assassination once the news of the "killing" had been made public. The unidentified hired hitman had also been part of the elaborate sting operation, the SBU said. Mr Herman was remanded in custody for two months. Ukraine has been sharply criticised for the hoax, with critics saying it gives Russia the moral high ground. Moscow has described Ukraine's sting operation as an act of provocation. 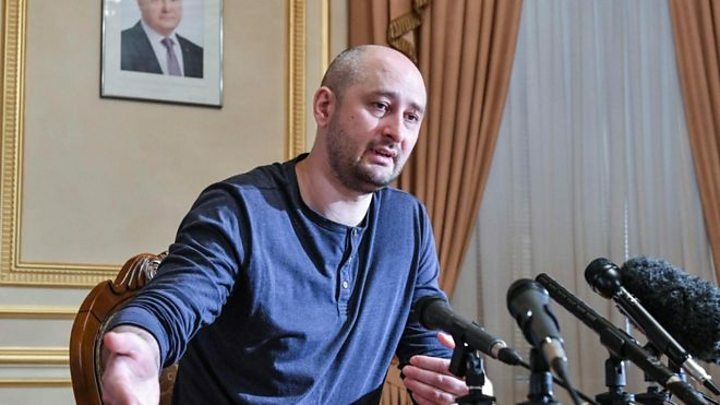 Babchenko is a former war correspondent who fled Russia in 2017.